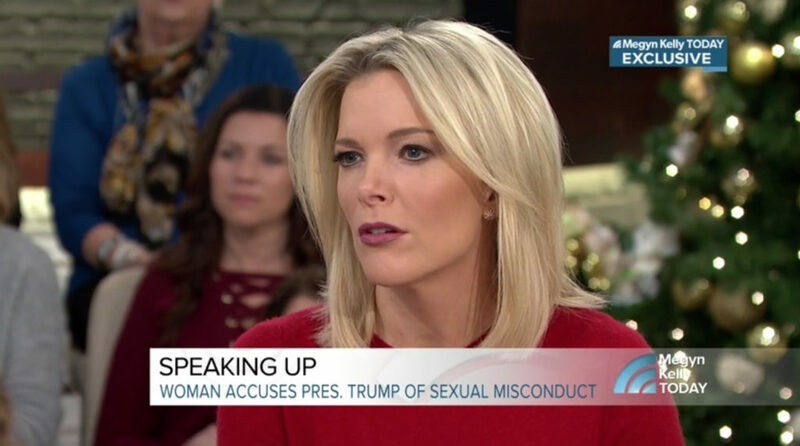 As part of its exclusive interview with Melinda McGillivray, who has come forward accusing Donald Trump of groping her, NBC’s “Megyn Kelly Today” used one of its in-studio video walls to let Kelly interview McGillivray remotely. Kelly sat in the middle of the studio at a round, glass-topped table, while McGillivray’s image was fed to the video wall on the left side of the studio. By shooting from behind Kelly, the show created the appearance Kelly and McGillivray were talking to each other face to face — a common trick used on television news. Another camera captured a one shot of Kelly seated in the studio, with audience members and holiday decorations visible behind her. 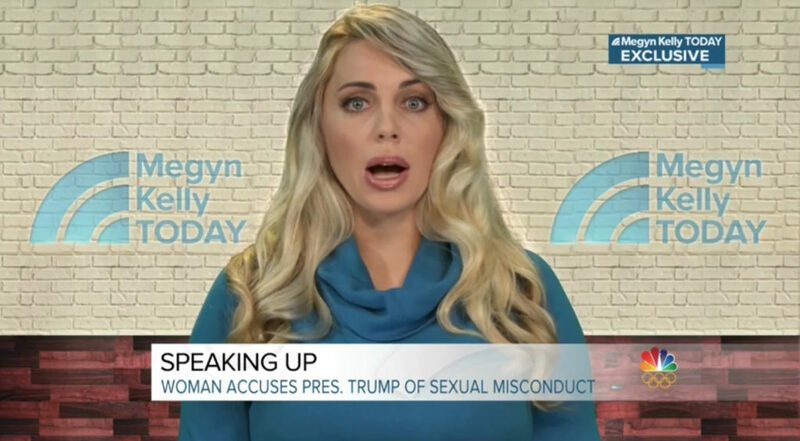 The “Megyn Kelly Today” logo was also placed over both of McGillivray’s shoulders, giving it prominent placement for viewers and, perhaps more importantly, when clips of the interview were picked up by other networks. McGillivray, who says Trump groped her in 2003 at Trump’s Mar-a-Lago resort, was seated in front of a digital graphic featuring white brick and dark wood tones that roughly match actual materials used on Kelly’s set in Studio 6A in Rockefeller Center. It appears that the backdrop may have been chroma keyed behind McGillivray, given the odd “glowing” look around her hair.